WASHINGTON— President Donald Trump named acting Secretary of the Interior David Bernhardt as permanent secretary of the department on Feb. 4, saying in a tweet that he had done a “fantastic job” since he took over in January. “David has done a fantastic job from the day he arrived, and we look forward to having his nomination officially confirmed!” Trump wrote. Bernhardt was nominated as the deputy secretary of the Interior in April 2017 and took over the department after former Interior Secretary Ryan Zinke stepped down in December. Zinke, 51, was a first-term congressman from Montana when Trump chose him to lead the Interior. He stepped down amid criticism for his use of a security detail on a family vacation that cost taxpayers $25,000, as well as a $12,000 private flight he took after a meeting with a professional hockey team. The flight could have been avoided, the Interior Department’s Office of Inspector General concluded. Last summer, the inspector general began investigating a Montana land deal between a foundation Zinke set up and a development group backed by the chairman of oil service company Halliburton, which has business with the Interior Department. In late October, that investigation was referred to the U.S. Justice Department for a possible criminal investigation, according to multiple media reports. The Department of Justice and the Interior Department have declined to comment. 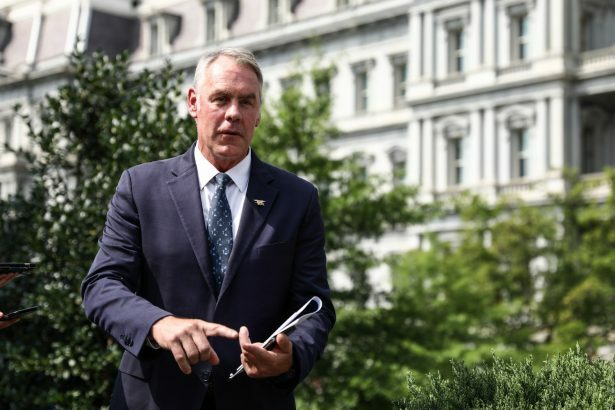 “I cannot justify spending thousands of dollars defending myself and my family against false allegations,” Zinke said in a tweet before he resigned. Bernhardt worked in the Bush administration as the solicitor of the U.S. Department of the Interior, overseeing several hundred staff. In 2009, he became an energy and natural resources lobbyist at Brownstein Hyatt Farber Schreck. He represented Noble Energy Inc., Rosemont Copper Co., Sempra Energy, and California’s Westlands Water District, among others. The Interior Department employs more than 70,000 people and oversees more than 20 percent of the U.S. land surface. 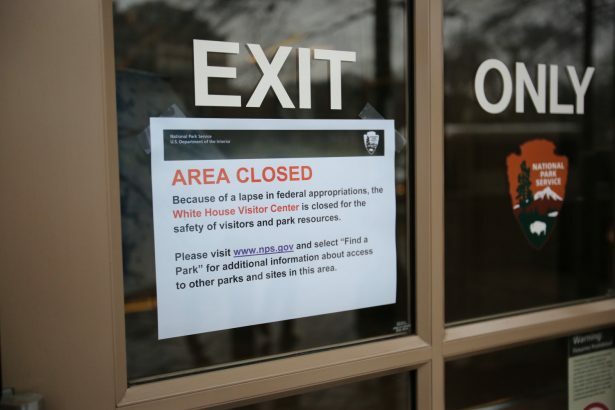 It was one of the departments that saw a lapse in appropriations that resulted from the 35-day partial government shutdown between December and January. 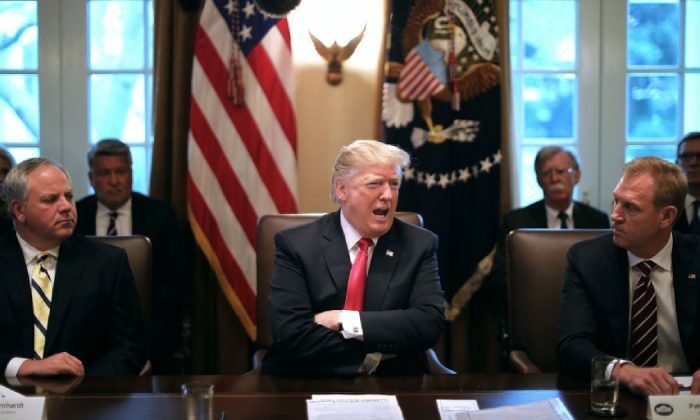 After the shutdown ended, Bernhardt thanked Trump for ending the stalemate, saying in a statement he was “hopeful” that Congress would produce legislation to avoid another government shutdown on Feb. 15. With reporting by Petr Svab. Reuters contributed to this report.